I thought "Woooow!" 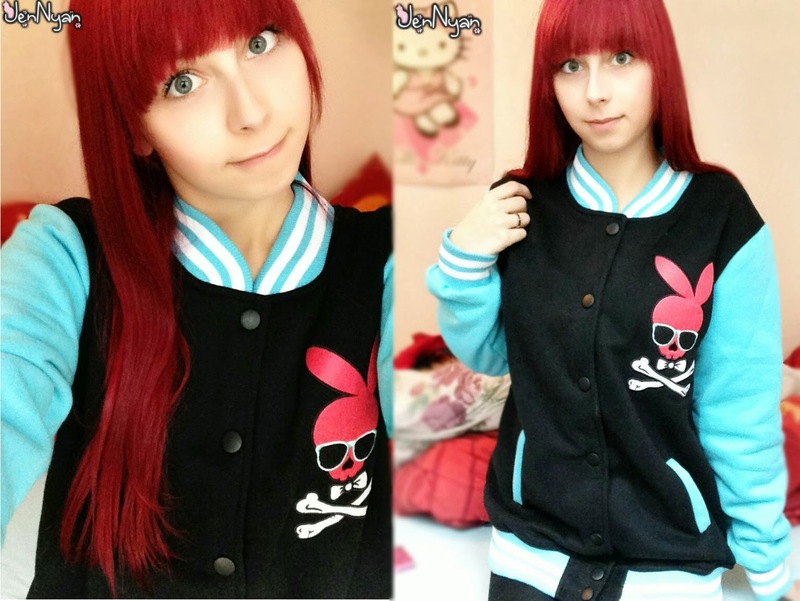 when I saw this jacket *0* I like the babyblue color and the bunny (dead bunny q.q) with the sunglass on the left side! 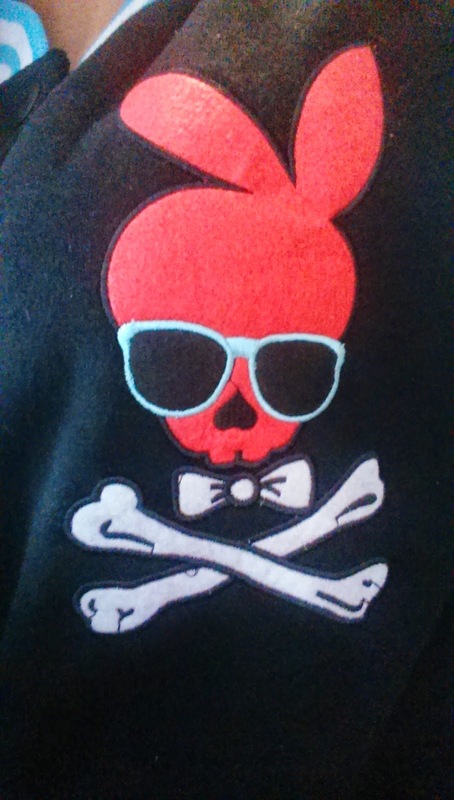 This is the super-duper Mr. Dead-Bunny. Say hello! The jacket is a little bit too big for me, but it doesn't disturb me. It reached till my hip! And yes, on the left picture, you can see how it looks like from behind! It's telling everyone, that you're a psycho bunny.. Eheheh. '-' I like dat! I like the combination of that cute babyblue and the black color! It just looks like on the productimage! Even if it's a little bit too big for me, the comfort is perfect. I love this jacket to wear, and it's really warm! There's nothing to complain about, it's no cheap product or anything like that, the quality is awesome. It was very safe packaged and shipped very fast - 11 days!